true delight where modern style meets classic charm, perfectly nestled within the highly-coveted Merriam Hill. Gleaming hardwood floors and an abundance of natural light flow throughout the freshly painted interior of this lovingly-maintained Cape. A true delight where modern style meets classic charm, perfectly nestled within the highly-coveted Merriam Hill. Gleaming hardwood floors and an abundance of natural light flow throughout the freshly painted interior of this lovingly-maintained Cape. First impressions are met with fantastic curb appeal as the charming front farmer’s porch welcomes you from the front gardens with mature trees, plantings, and a flagstone path. A thoughtfully designed floor plan allows for an easy flow interior, perfect for both comfortable living and effortless entertaining. Gleaming hardwood floors span the open concept and spacious formal living room as a wood burning fireplace provides warmth on chilly nights. Floor to ceiling shelving graces each side of the fireplace offering the perfect place to store treasured collectibles. The living room transitions seamlessly into the formal dining room as the hardwood floors continue to span. Natural light streams through the triple window of the dining room filling the space with a delightful glow. The formal living and dining rooms connect with an office providing a private space perfect for working in comfortably from home. Prepare special family recipes in the bright and cheerful kitchen full of modern flair with stylish white cabinetry, a breakfast bar island, gleaming hardwood floors, electric cooking, brushed nickel hardware, a built-in desk area, a lovely bay window, and recessed lighting. You’ll feel right at home in the spacious family room full of natural light with a cathedral ceiling and skylights for an added feeling of expansiveness. All eyes will be drawn to the wall of built-in shelving and cabinetry graced by a decorative arched window above. A sliding glass door spills out to the backyard and beyond. A French door offers access to the adjoining sunroom with walls of glass to enjoy the sights and sounds of nature from every angle. An exterior door offers a great connection to the backyard, deck, and patio perfect for easy outdoor living. The landscaped yard is home to many perennial plantings just waiting for spring. The first level continues with two family bedrooms, a full bathroom, and a half bathroom with the laundry area. The bedrooms are light-filled with plush carpeting and large closets. The bathrooms are tastefully done in neutral tones, the full bathroom offers a tiled tub and shower. The spacious master suite, a third family bedroom, and a family bathroom awaits on the second level as the home continues to impress. The master suite features wall-to-wall carpet, a large walk-in closet split evenly into two dressing areas, and a full bathroom. The family bedroom feels like a fairy tale with a built-in hideaway bed tucked beneath the eaves. A row of cabinetry beneath the bed offers additional storage space as a charming lattice-trimmed window allows you to fall asleep while gazing up at the moon and stars. The full family bathroom on the second level is fresh and inviting with built-in shelving and a tiled shower. The lower level continues with a finished bonus room perfect for use as a playroom, recreation space, exercise area, or for rainy day activities. The lower level offers abundant storage space for ultimate organization as well as a large shop table for projects. The home is heated by a newer Baxi Luna high-efficiency boiler installed in 2013. 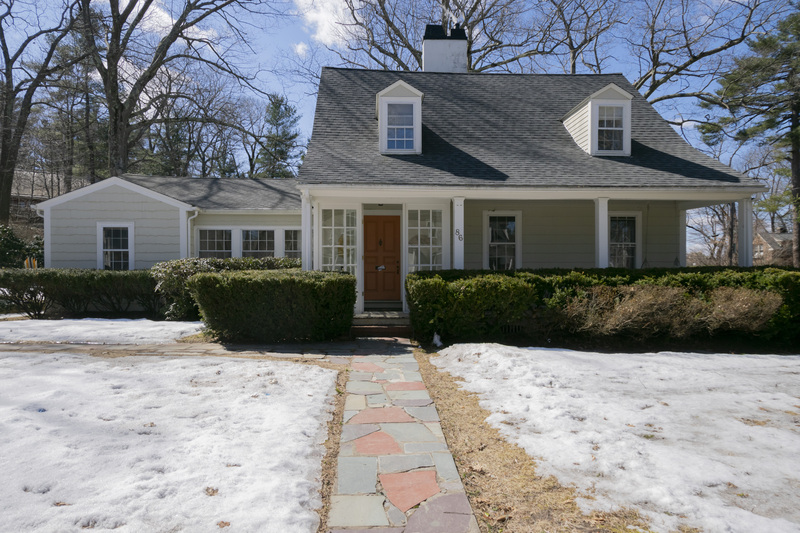 Enjoy a prime location convenient to the town center, Minuteman Bike Path, and within easy walking distance of Diamond Middle School. Lace up your sneakers and explore the walking trails of the nearby Chiesa Farm or Willard’s Woods conservation land. Welcome home to the highly desirable community of Lexington known for its excellent public schools, rich history, open conservation land and parks, and dynamic community life.